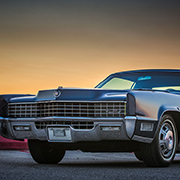 PHOTOSHOOTING WITH MARILYN | Geralds 1958 Cadillac Eldorado Seville, 1967 Cadillac Deville,1967 Cadillac Eldorado, 1971 Lincoln Continental Mark III and 1978 Cadillac Eldorado Biarritz. My wife and I were asked to photograph a very special Cadillac in Graz/Austria. Its a super nice 1959 Cadillac Eldorado Seville which is linked to Marilyn Monroe. My friend Christian is the owner of this beautiful car, and as he got a 1959 Cadillac Eldorado Biarritz just recently, he wants to sell the Seville as he cant keep the them both. If you are interested in owning a great 1959 Eldorado Seville just contact me and I can get you in touch with Christian.